If your bank balance allowed you to, would you even think twice about getting your own private jet? While flying on business and first class offers more comfort, private jets are the crème de la crème of the aviation industry. They are the epitome of luxury. 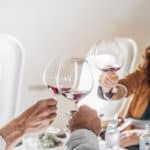 Besides the extra comfort and luxury a private jet provides, here are some more reasons why you may want to consider chartering a private jet for your next flight. A private jet saves you the worry of running a little late or missing your flight. You can board your jet for departure in your own time – your crew and pilot are ready for take-off as soon as you are. You don’t have to rush through terminals or stand in any lines. Travel experts say a private jet requires a maximum of only 15 minutes to get the flight underway. Another advantage is that there are more airports that private jets can use, compared to commercial planes, which means you can fly directly to your destination or land closer to it. Adding to this, there’s no processing through standard terminals, as the case when flying business class. All this means that you save time which you can use on more productive things like planning for your meeting on-board the plane. Unlike with commercial flights, when you fly on a private jet you have a personal attendant to cater to all your needs from the minute you board the plane. Your attendant makes sure that you are comfortable and well fed. You have the luxury of ordering any number of personalized meals according to your preference, which are arranged ahead of time. One of the luxuries in private jets are their inbuilt entertainment systems – most of them are also equipped with personal viewing screens, so you are sure to be entertained for the duration of your flight. This is particularly great if you are travelling with kids – you can keep them entertained with your own DVD’s or select from the one’s provided for you on board. You may not be able to travel with your pet when you take a commercial flight, but you can when you charter a private jet. Most private plane charters will allow your pet to enjoy the same comfort and luxury without being required to stay confined to one place throughout the flight. Chartering a private plane gives you the freedom to move around much more during the course of your flight. Private jets have luxury furnishings and space – you are free to move from seat to seat and get different views. You don’t have to fit into a thin seat between other passengers. Some private jet seats can even be turned into a comfortable bed – which your attendant will do – great for a cosy nap during long flights. This is one of the main benefits of chartering a private plane. The only passengers on board the jet will be those invited by you. Everything that takes place is confidential. You have the freedom to hold business meetings if you need to, without the possibility of anyone else overhearing your discussions. We cannot deny the fact that we live in a society where everything we do projects an image of fashion and status around us. Using private jet services for travel portrays an image of success. If you’re finding ways to build your personal brand, it will show you as an individual or company that is well-organized, capable and successful. Private Jet – To Be Hired Or Owned?